Rupee inched higher on Monday, extending its gains into a third session as a stronger start in Asian shares prompted some dollar selling as traders positioned for foreign buying of local stocks. 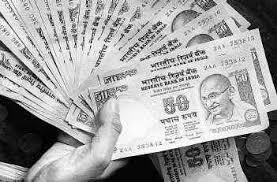 Rupee was at 48.16/17 per dollar, 0.1 percent stronger than Friday's close of 48.22/23. The rupee gained 1.1 percent last week.